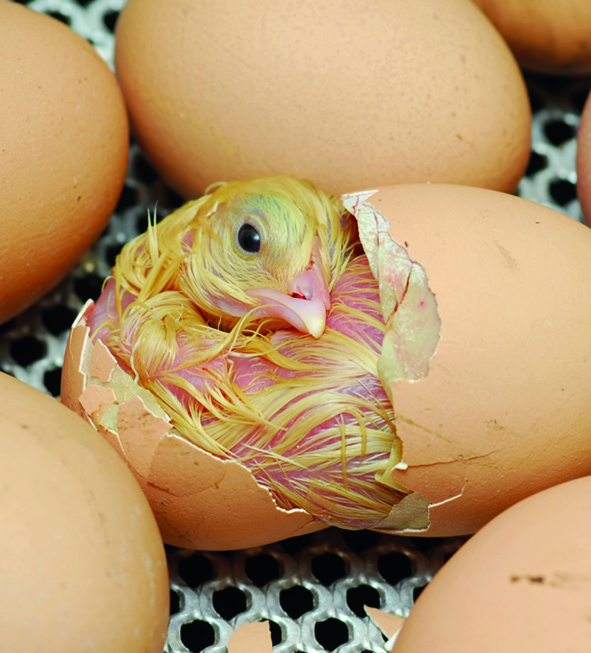 Chicks can travel from hatcheries or are hatched within the producer’s flock. Either way, we want to optimally support the chicks with a strong start in life. A healthy chick has a healthy gut. This is a key contributor to ensuring the bird’s growth and development. Therefore, optimal early gut health management is essential to ensure the best performance and proper immunity. In its first three weeks of life, the birds are often subject to different types of stress and toxins which disturb the normal body function, preventing them from growing up properly. Have a look at the solutions below to learn how Innovad helps feed the gut enabling chicks get through the first weeks of life. Providing good environmental and nutritional conditions for day-old chicks is crucial for obtaining the full performance potential of the chicks later in life and maintaining profitable business for producers. 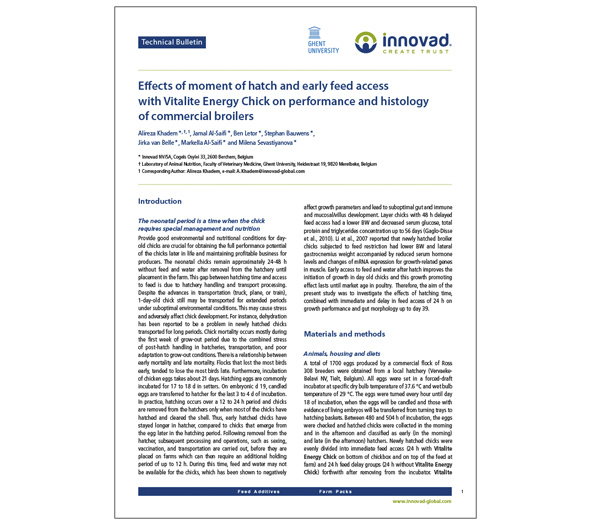 Dr. Alireza Khadem investigated the effects of hatching time, combined with immediate and delay in feed access, on growth performance and gut morphology. Download the technical bulletin to learn more.